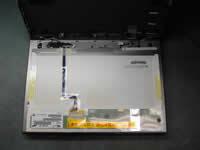 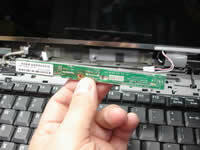 In order to remove and replace the LCD screen and inverter board we'll have to disassemble the display panel. You'll find two screw seals in lower left and right corners of the display panel. 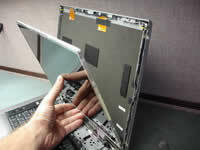 Remove both screw seals and screws found under them. 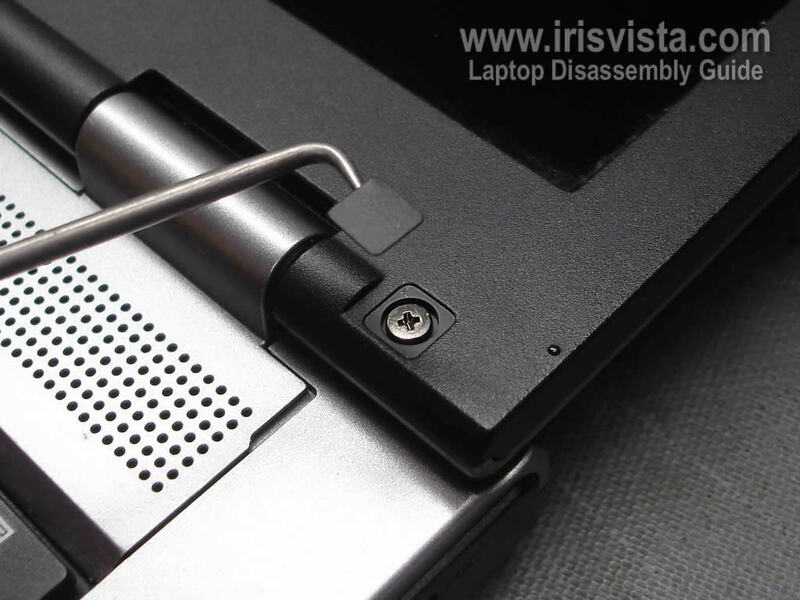 These screws securing the screen bezel to the display cover. 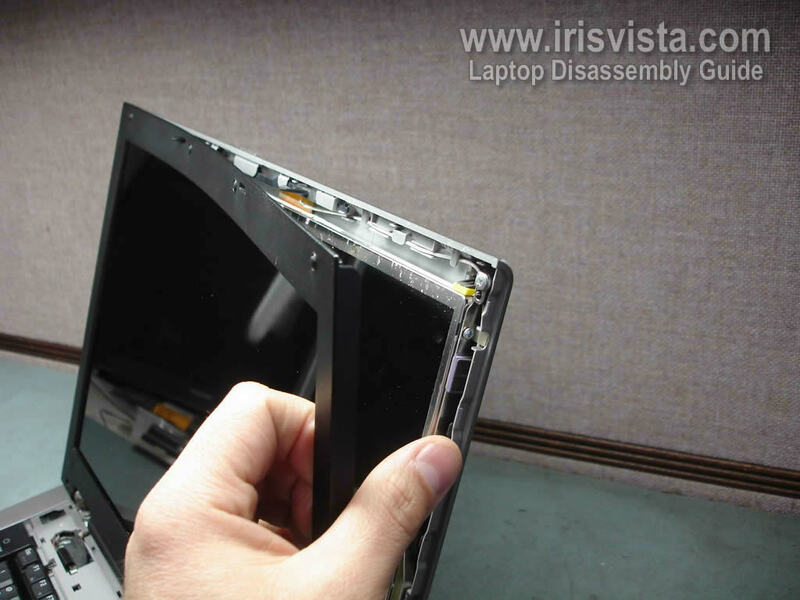 I found it's way easier to remove the screen bezel if you remove the speaker cover first. 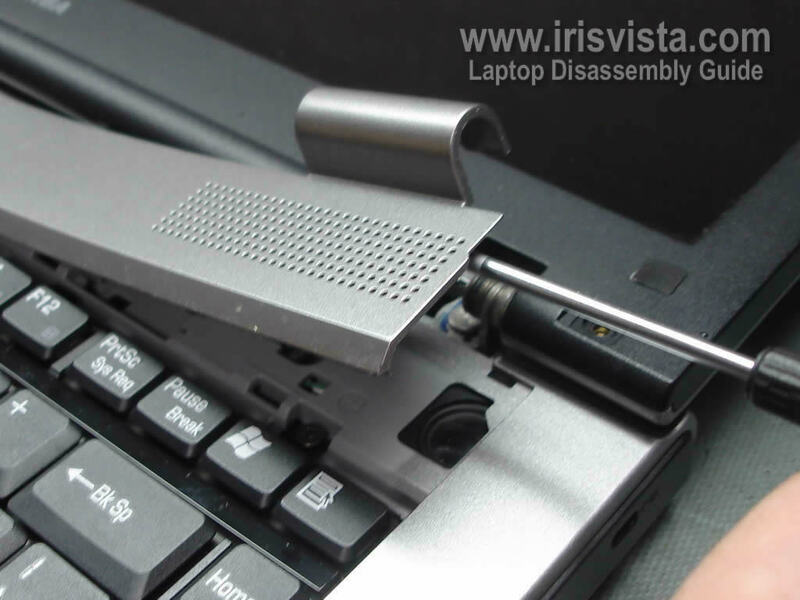 Insert a flathead screwdriver under the cover and lift it up. 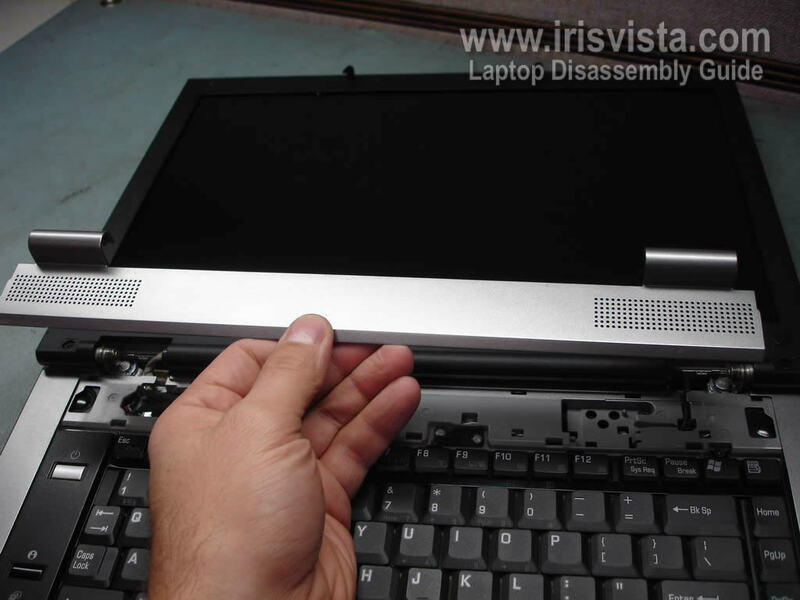 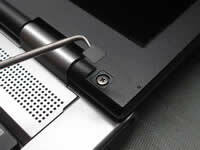 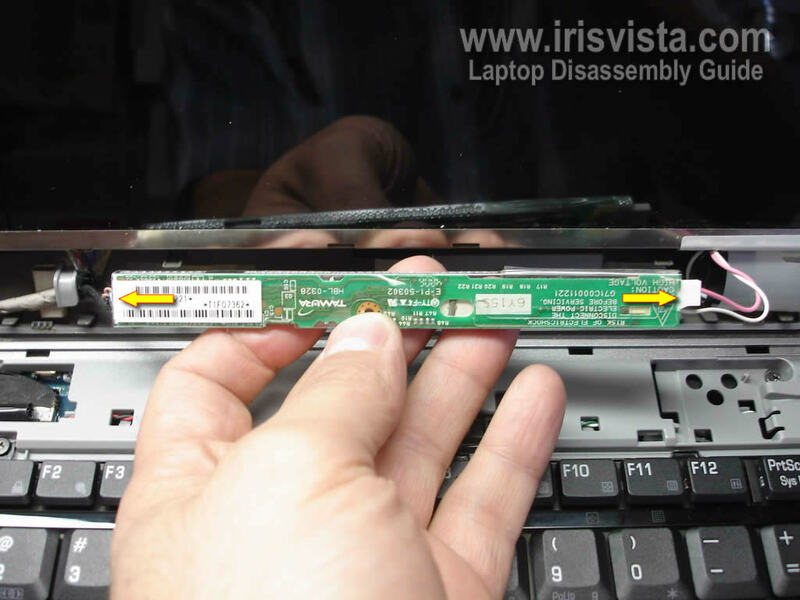 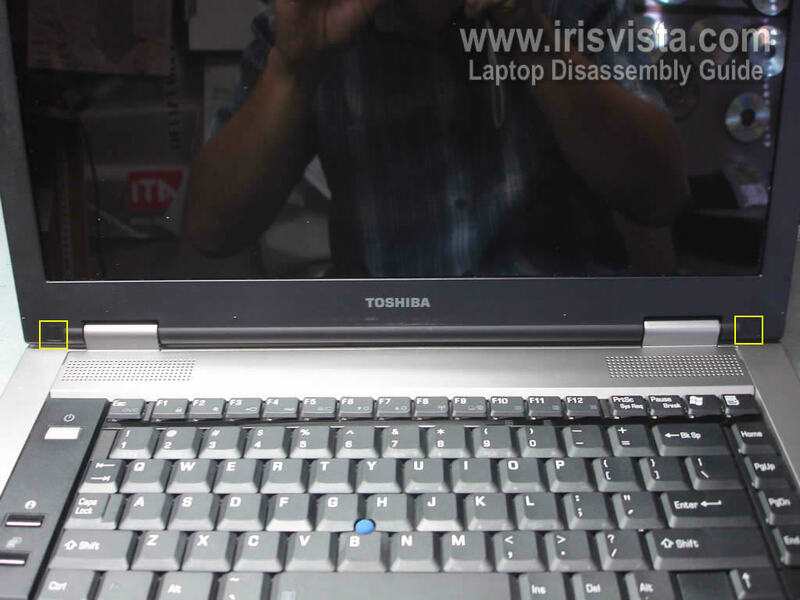 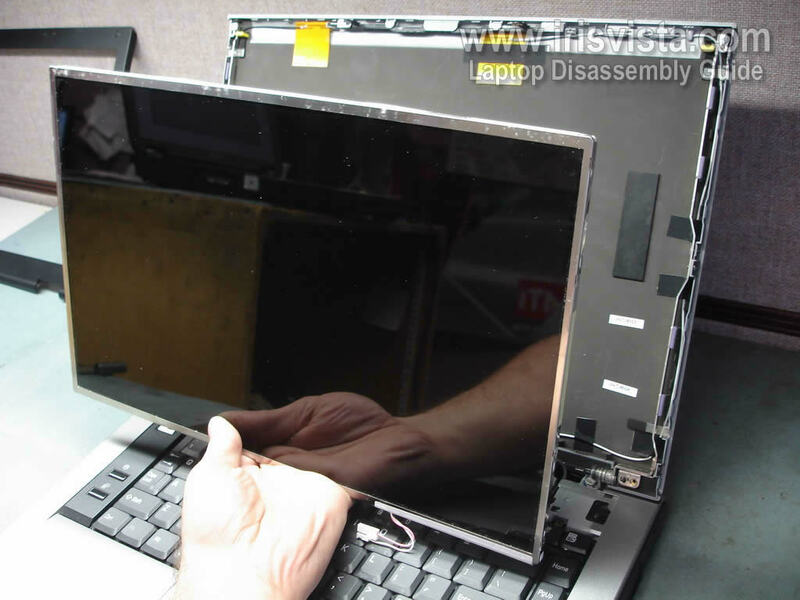 Continue separating the cover from the laptop with your fingers. 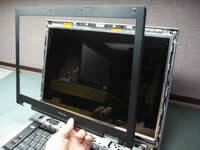 Now you can start separating the screen bezel. 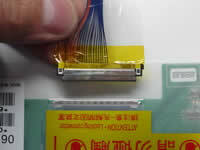 A small piece of soft plastic (I use a guitar pick) can help to separate the bezel from the display cover. 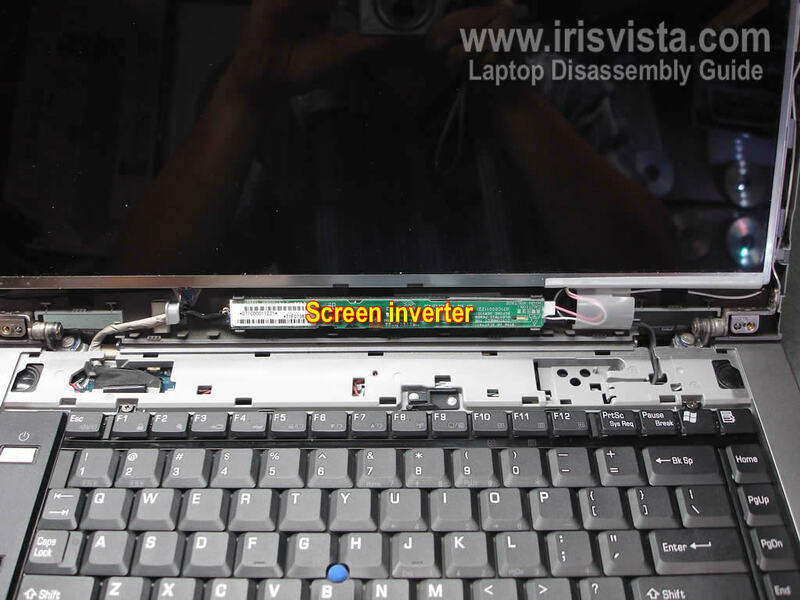 Now you can get access to the inverter board which is mounted below the LCD screen. 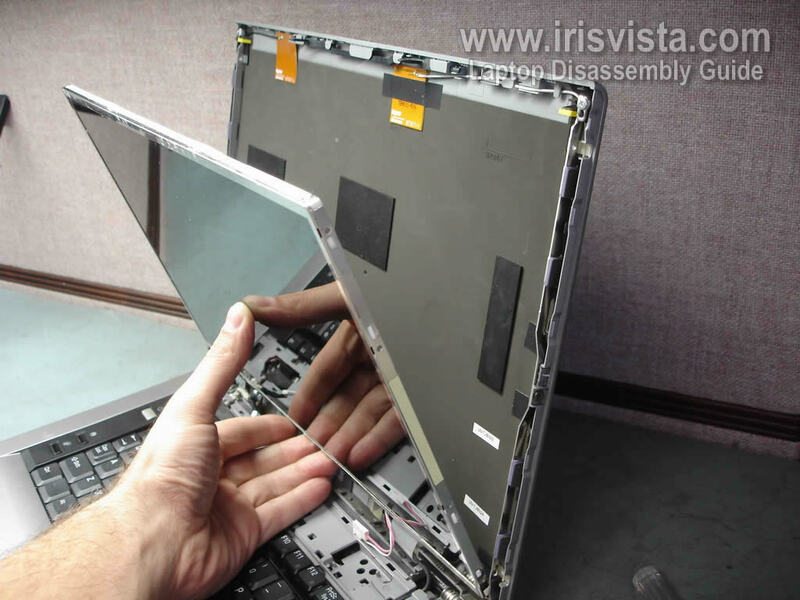 Carefully remove the inverter board from the display assembly and disconnect cables on both ends. Now you can replace the inverter board with a new one. 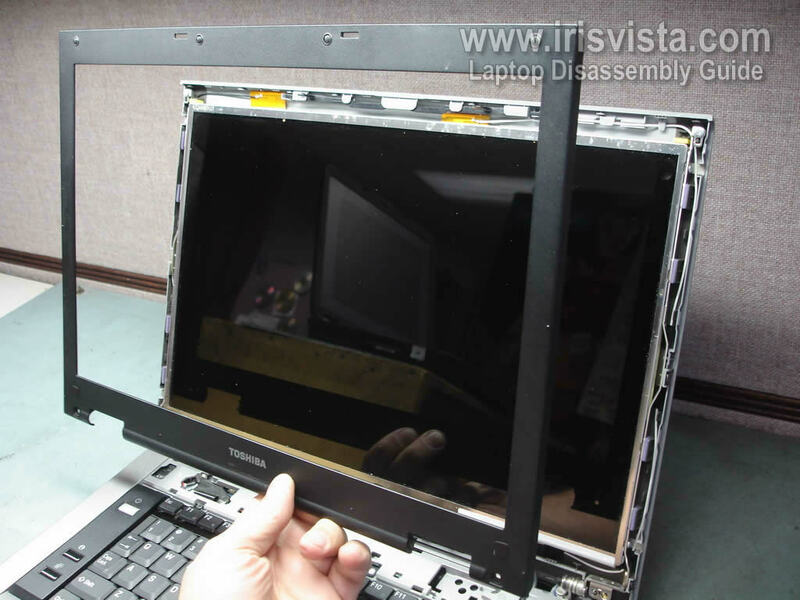 Remove two screws securing the LCD screen on right side of the display assembly. 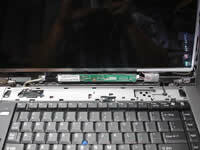 Separate the LCD screen from the display cover and place it face down on the keyboard/palm rest. 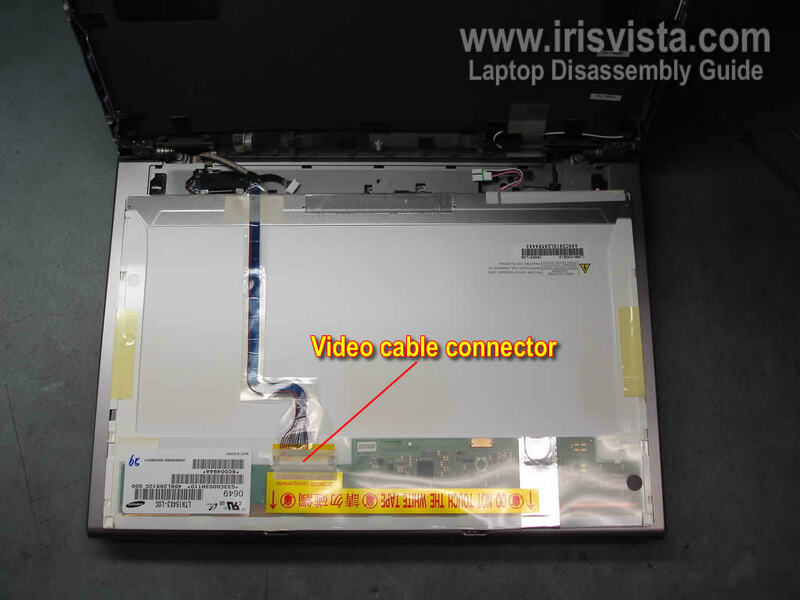 Before you can remove the LCD screen, you have to disconnect the video cable. Unplug the video cable connector from the connector on the LCD screen. 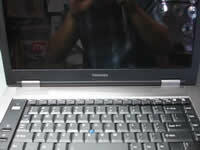 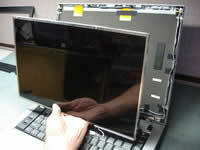 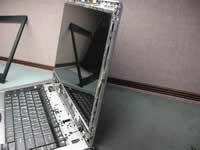 Remove the LCD screen and replace it with a new one if needed.